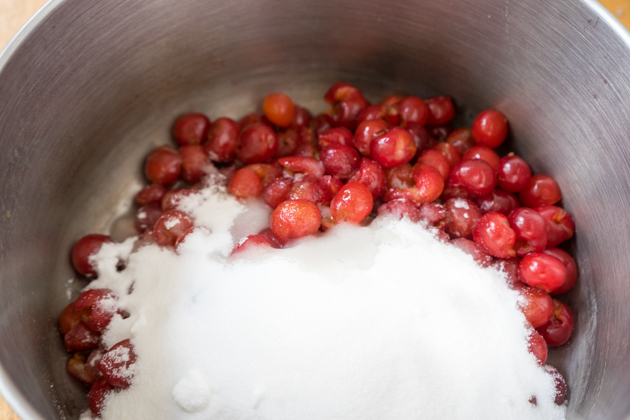 This is one of my favourite jams, perfect for making with sour cherries. Lemon is key to the recipe as it is full of pectin which helps the jam to set. If you use normal sweet cherries, reduce the sugar to 400 grams. 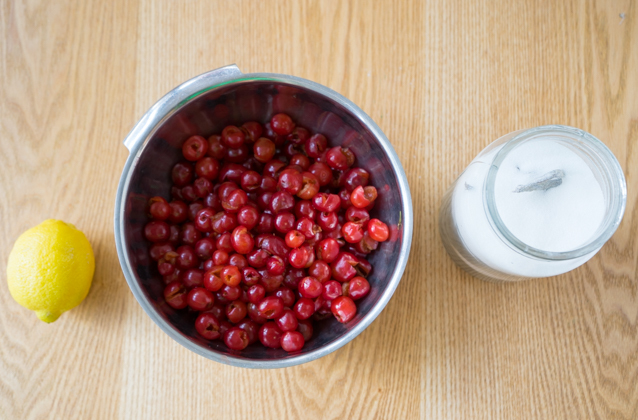 Remove the stems and seeds of the cherries. Add to a saucepan with the sugar and lemon juice and cook over medium heat. 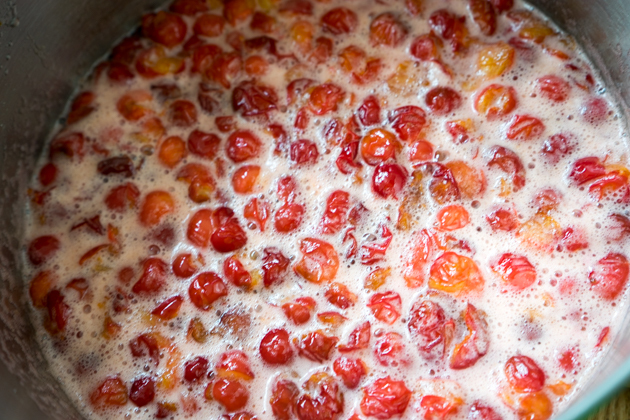 When the cherries are soft and the sugar has dissolved (about 20 minutes), turn the heat up to high. Cook until the jam has reached the setting point. 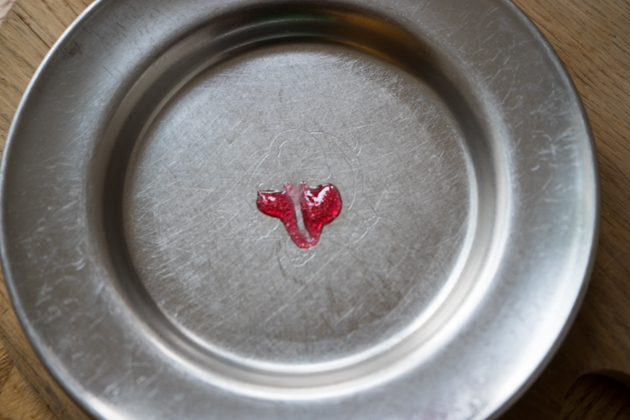 Test this by placing a small plate in the freezer. Spoon the jam on the plate and return the plate to the refrigerator for 2 minutes. 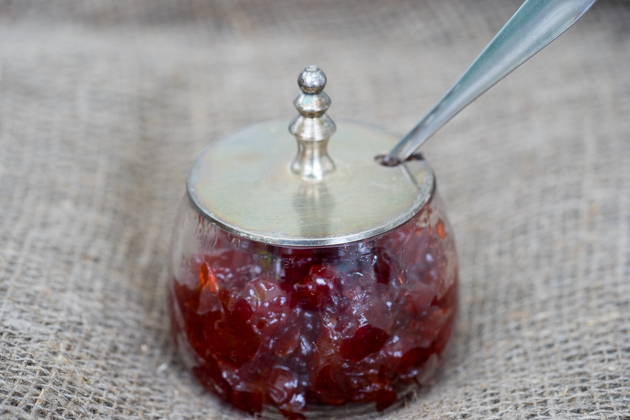 Run your finger through the jam and see if it stays separate or runs back together. If it gels and stays separate, it is ready. Let it cool or seal it in sterilised jars.